Question T.I.’s colors if you want but erase all doubt that the universe wants Dr. Dre and Auburn linked in Google eternity. I won’t delve too much into the movie’s plot. 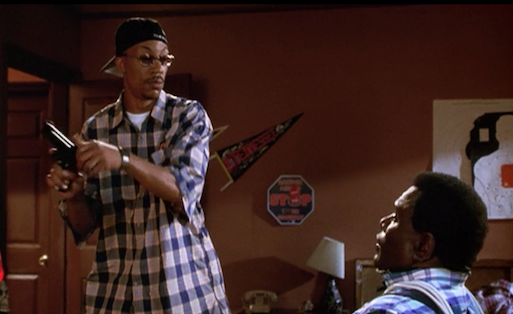 For our purposes, all you need to know is that there is an Auburn stop sign hanging on the wall in the bad guy’s house. How do we know he’s a bad guy? Because he’s defaced the Auburn stop sign! “STOP. Danger Head... er Country?? ?” Get him, Snoop, get him! 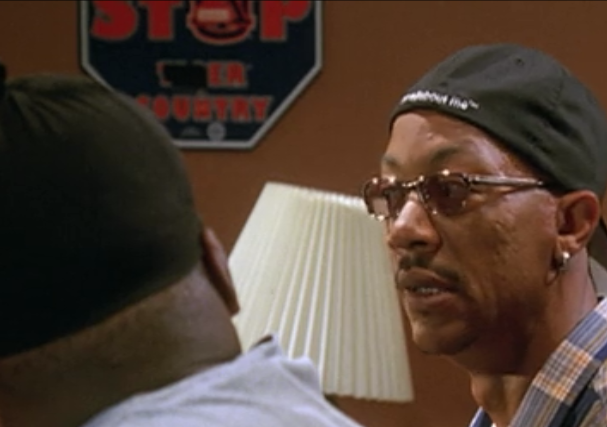 We’re obviously thinking that, as a fan, an Auburn reference was included in Dre’s contract. But maybe Hollywood props departments were just bursting with Auburn road signage at the turn of the millennium. Yep, thinking of you Nikki Cox. Eagle Eye Awards to Chris Barnett and Jason Mennifee.